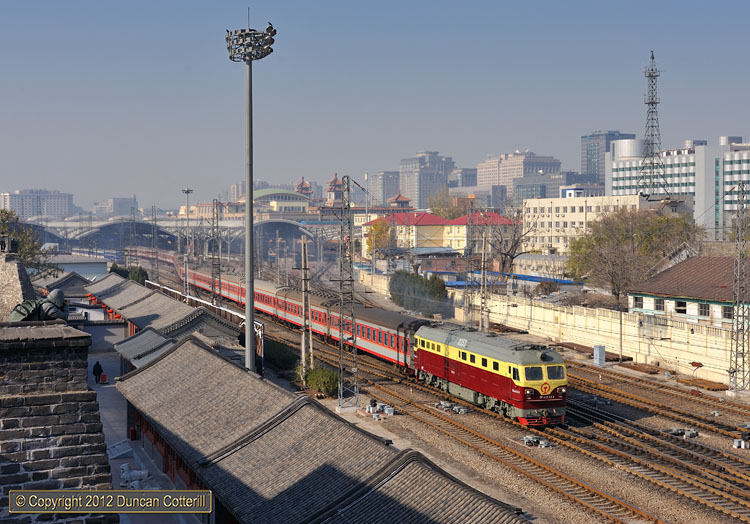 Spotless DF4D 0353 accelerated away from Beijing station with an ECS working on 24 November 2012. The practice of stabling the empty stock of overnight trains at outlying stations continues. The BJs and NY7s that used to handle these workings were nowhere to be seen, replaced by a very varied fleet of DF4s, most of them very presentable.